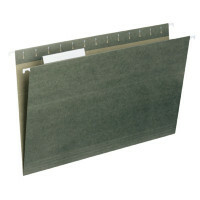 Pick up and deliver large quantities of mail more efficiently. Our lightweight. 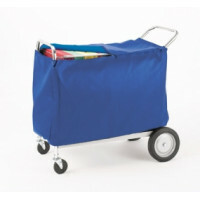 high-capacity basket mail carts will help you get the mail out faster. 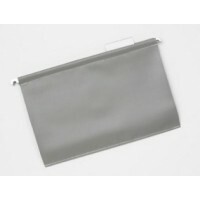 The secret is in the removable wire baskets. While the cart is out on "rounds." extra mail baskets (model 106TB sold separately) can be in the mail room being processed for the next run. Durable tubular steel mail cart frames have chrome finish. 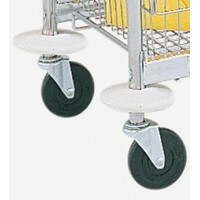 10" wheels in back and 4" swivel casters in front. 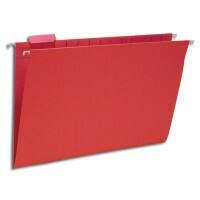 Our most popular model for mail distribution in larger offices and between multiple facilities. 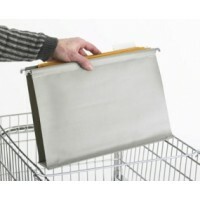 Click Here for mail cart accessories. 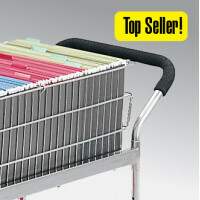 robotically welded and nickel chrome plated for the strongest baskets in the industry. stay tight eliminating caster fall out. 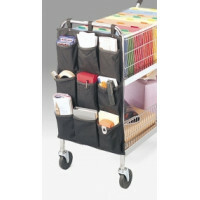 • Mail cart frame is 16 gauge 1” x 1 ½” square steel tubing with solid welded ¼” rods for rigidity. to the round tubular handles. 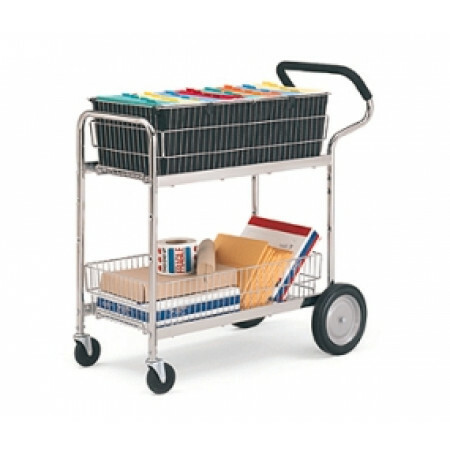 • Sturdy steel mail cart frames for lasting durability even when fully loaded over rough and uneven terrain.